With this expansive remodel we not only opened up the interior, but added a large deck to expand the living space outside. All of the windows in this space frame the unbeatable view and further accentuate the unique location. 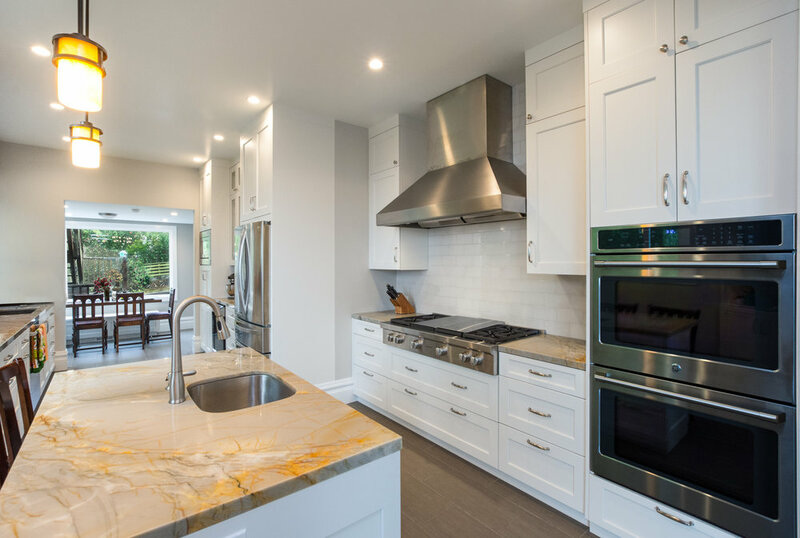 Custom two-tone cabinetry and Carrara Marble countertops polish off the space. With beautiful views of San Francisco visible from nearly every angle, this updated kitchen now fits right in with it's surroundings. Modern slab door cabinetry, glass tile backsplash and an open concept floor plan all lend themselves towards a modern aesthetic. 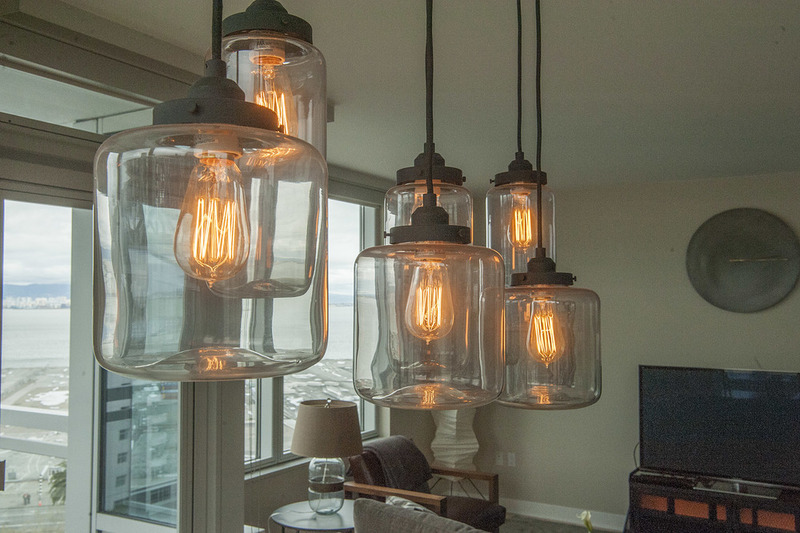 A custom metal light fixture created finishes off the space. We brought this beautiful Eichler back to its original glory. 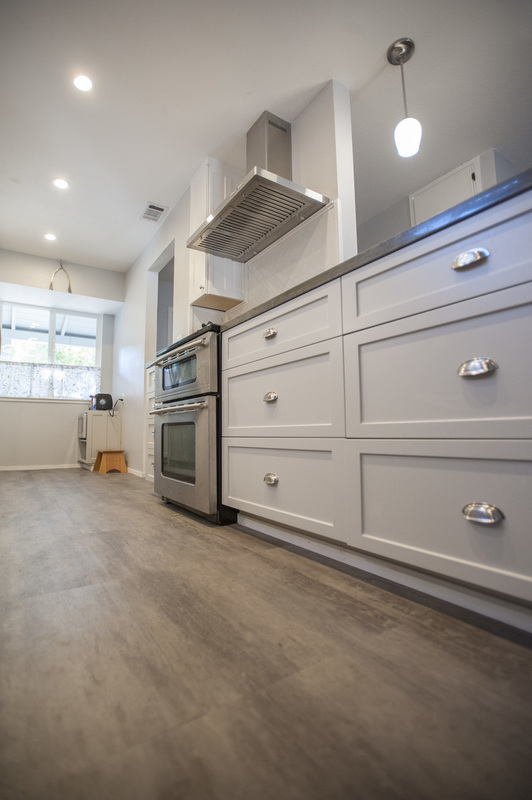 New cabinetry and flooring throughout brightened up the space while keeping with the original period of the home. Opening the space with a pass through to the family room marries the two spaces beautifully and allows for a semi open concept. 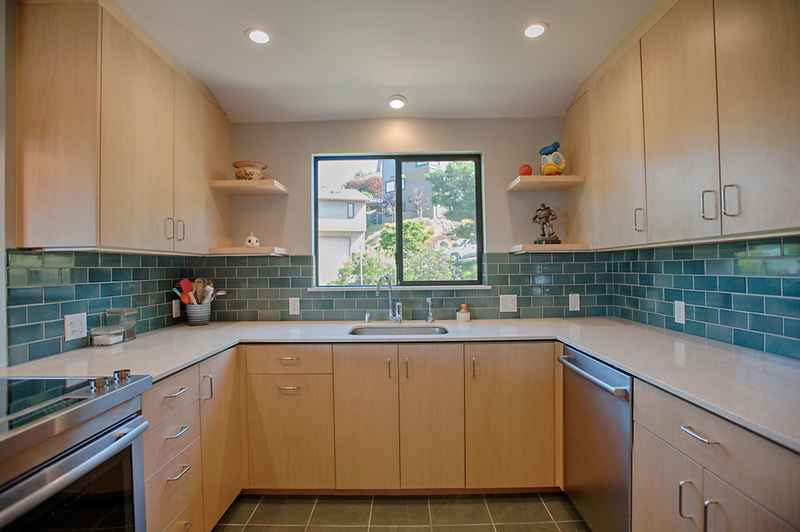 See more of our Eichler remodels here. Fortunately for the homeowners, the layout in this kitchen worked well already. 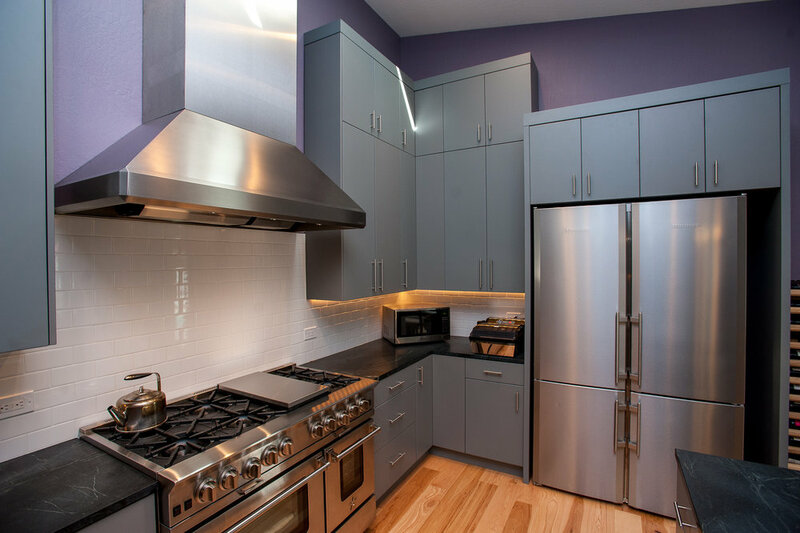 The cabinets, counters and appliances needed an overhaul and that is what we gave them. 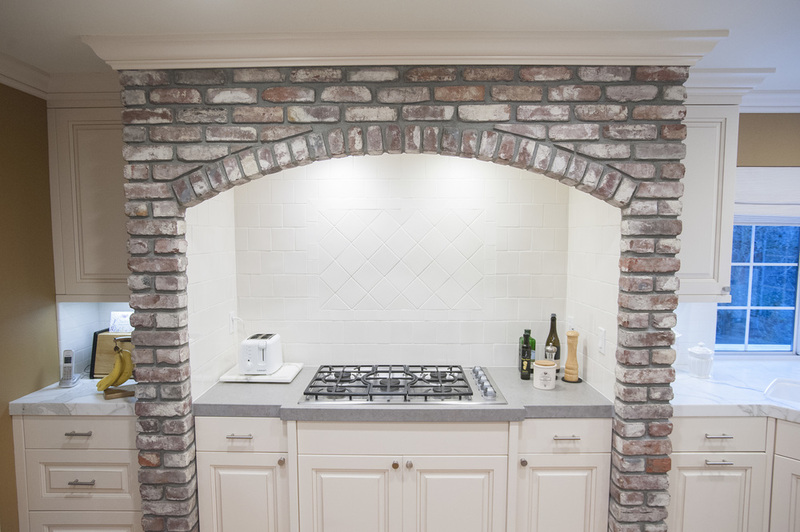 The focal point of this kitchen is the brick archway over the stove top. 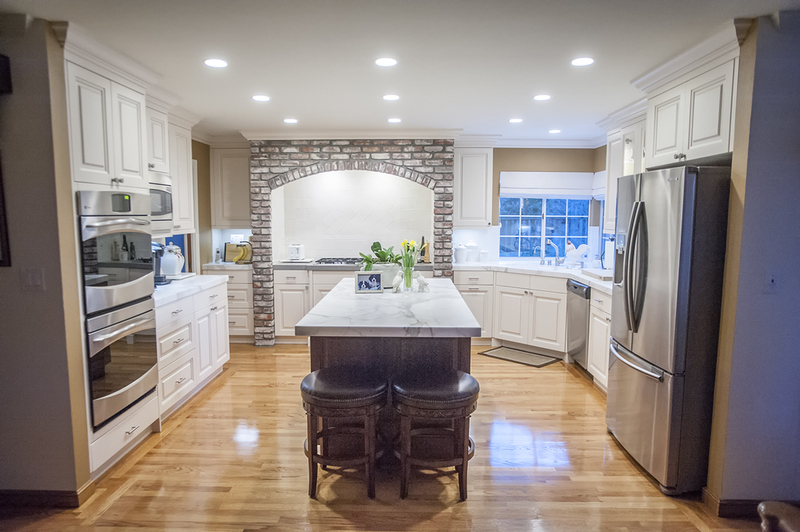 We updated the look by removing the original cabinetry supports and replaced it with new painted cabinetry that compliments the brick beautifully. Where there was once a dropped ceiling with fluorescent lighting, there are now sleek can lights to brighten the space. The original hardwood floors that you see in the photos were carefully preserved throughout the process and remained in great shape! 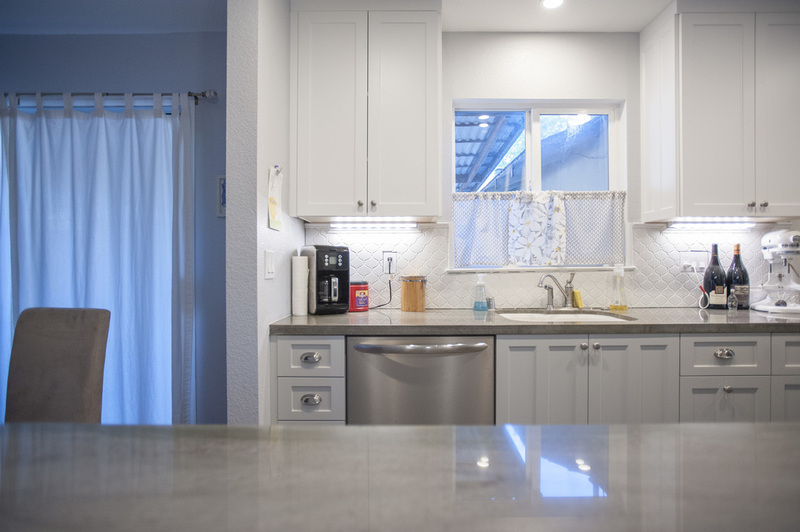 This Walnut Creek beauty got an overhaul that included new cabinetry, gorgeous thick quartz counters and beautiful porcelain tile backsplash. We kept the original hardwood floors, which flow throughout the entire downstairs. As an added detail we built and tiled in a niche above the cooktop for displaying the clients favorite oils and cooking utensils. We had the pleasure of remodeling the bathrooms in this home as well; take a look at that remodel, and other bathroom remodels here. 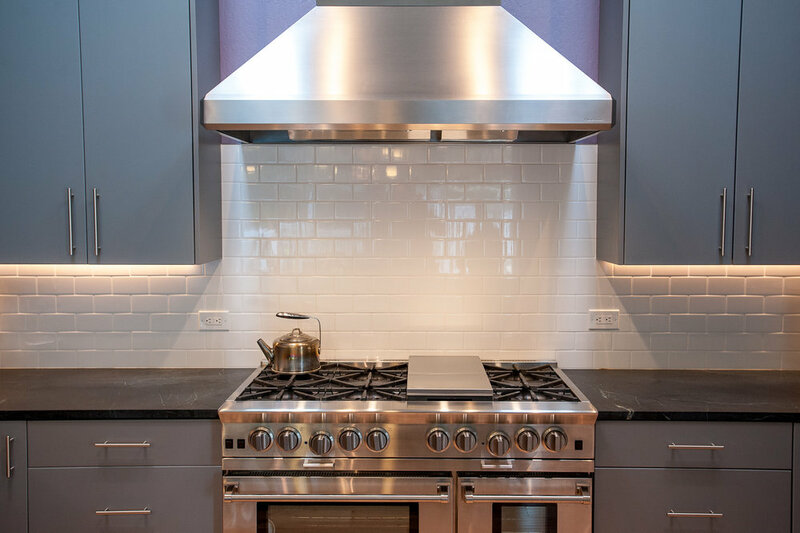 This 100 year old home was freshened up to provide a more open and more airy feel to the kitchen. Working with Jill Cordner Interior Design we paid special attention to updating the kitchen while keeping a traditional look. 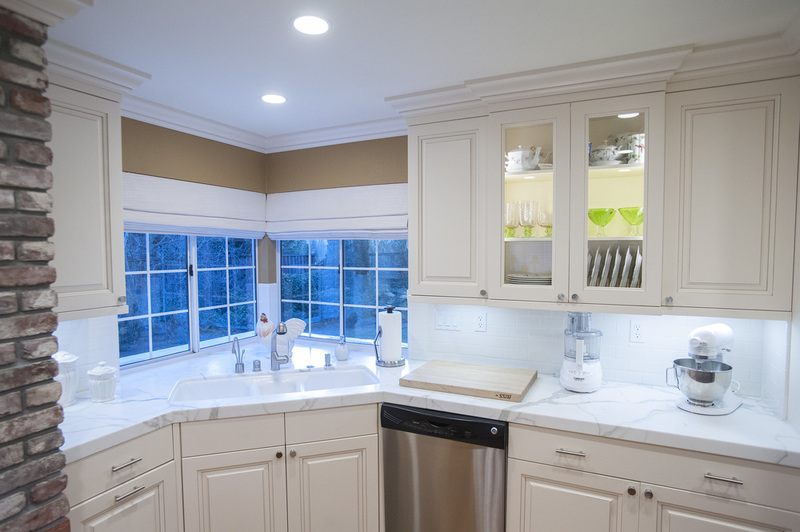 The kitchen was brightened up by adding a lot of lighting and accents for a more open feel.